Check out updates and information on our upcoming 2018 Trade Shows! 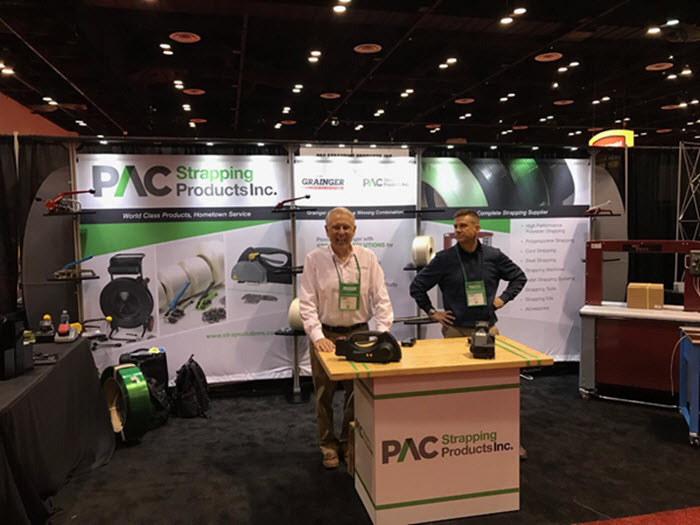 PAC Strapping participated in the PMMI Pack Expo tradeshow October 14-17, 2018 at McCormick Place in Chicago, IL. Click here if you would like to learn more about the largest, most comprehensive packaging event in the world, Pack Expo. PAC Strapping Products participated in the PACK EXPO East show April 16-18, 2018 at the Pennsylvania Convention Center in Philadelphia, PA.
Click here to learn more about the PACK EXPO East biennial trade show for the packaging industry. PAC Strapping Products participated in the Industrial Pack show April 4-5, 2018 at the Cobb Galleria Centre in Atlanta, GA.
Click here to learn more about the Industrial Pack 2018 trade event for the industrial, transit and protective packaging industry. 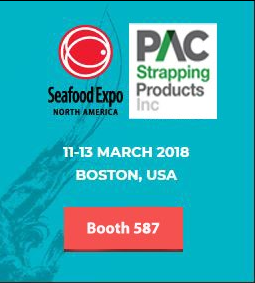 PAC Strapping Products participated in the Seafood Expo for North America March 11-13, 2018 at the Boston Convention and Exhibition Center in Boston, MA. Click here to learn more about The Seafood Marketplace for North America. PAC Strapping participated in the United Group May 2017 Conference at the Gaylord Opryland Resort & Conference Center in Nashville, TN. The event gave visitors the opportunity to meet with Preferred Suppliers including, PAC Strapping Products, and other members. PAC Strapping participated in last year’s Clean Show in June 2017 in Las Vegas. The event allowed visitors to learn more about the latest trends, strategies, and products PAC offers.